"The father of microscopy, Anton Van Leeuwenhoek of Holland (1632-1723), started as an apprentice in a dry goods store where magnifying glasses were used to count the threads in cloth. Anton van Leeuwenhoek was inspired by the glasses used by drapers to inspect the quality of cloth. He taught himself new methods for grinding and polishing tiny lenses of great curvature which gave magnifications up to 270x diameters, the finest known at that time. The Cell Theory Song recounts the components of the Cell theory and the major scientists that contributed to it. 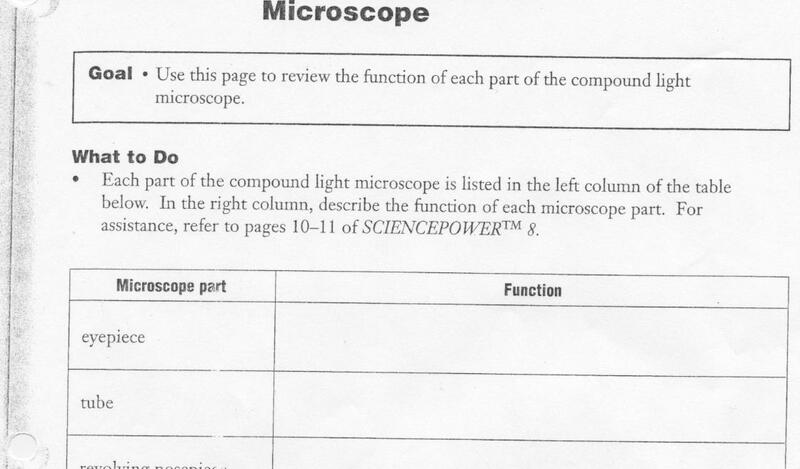 Students were asked to complete the "Early Microscopes" activity sheet. Microscopes have come a long way from being instruments just used to see small objects in the 18th century. The invention of the microscope proved to be a major breakthrough in scientific and medical history. It was possible to look into human blood and see what was going on inside. Doctors and researchers could identify different bacteria and start creating medicines to counter them. It opened up avenues never explored earlier. In short it proved to be a huge boon to us human beings. Microscopes are available in many different types and models. You can get economy ones as well as expensive ones. The best microscopes are made of metal alloys and are long lasting. Microscopes can be used in almost every sphere of life. They are used in schools, hospitals and clinical laboratories. They can be used for metallurgical and industrial work as well. Different types of microscopes are used for different purposes. There are four types of biological microscopes that are used to examine tiny matter like blood cells and bacteria. These are the compound, dissection, transmission electron and scanning electron microscopes. Each one can be used for different functions. The compound microscopeallows you to view specimens at a high magnification power. It uses a fluorescent light to illuminate the specimens. The dissection microscope is like a regular compound microscope. It also uses light to illuminate the specimen. It has a lower magnification power and can be used to examine larger organisms by dissecting them. Electron microscopes use electrons instead of light to illuminate the specimens. These have very high magnifying power and resolution. They are used to examine blood and bacteria. They are especially useful in medical research. The digital microscopeis one of the latest innovations. It uses a USB to transfer images to a computer screen. This makes it easier to see the image and manipulate it on a larger screen. It also makes it easier to transmit such images to other scientists in other locations. Microscopes are used in many locations now. 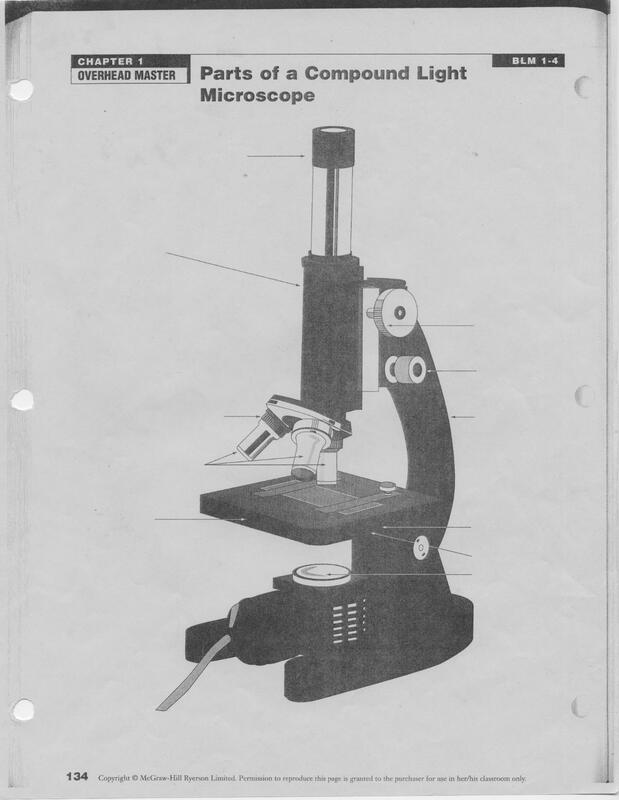 The introduction to microscopes begins in school where they are used for educational purposes. Students conduct experiments by using dissection microscopes to examine small organisms. Microscopes are used in clinical and medical laboratories to examine blood samples to determine the kind of bacteria in them. This helps doctors diagnose their patients correctly and treat them accordingly. Microscopes are used extensively in research laboratories. Scientists are constantly examining different matter and specimens to learn more about them. Thanks to microscopes we discovered different diseases and the cures to many of them. Scientists are still conducting research by using microscopes to find cures and vaccines for many more life threatening diseases. There are microscopes used to examine non-biological specimens as well. They are used to examine and understand the composition of metals, rocks and even fossils. As you can see, microscopes are used in most areas of our lives. Today the students were asked to identify the location and function of each part of the compound light microscope. They were asked to complete the following activity pages. The following weblink provides an (easy to read and) indepth explanation of the compound light microscope, how to use it properly and some prepared slides for examination. Enjoy! The following clip outlines the locations of the parts of the compound light microscope and also how to use it safely. The microscope, an invention that changed the way humans look at the world, came about through the process of much experimentation. Originating in the late 16th century, the microscope is certainly one histories most groundbreaking instruments. The microscope opened up an entire new world to scientists and helped us to answer many questions about life. 1) Explain the belief in "Spontaneous Generation." What did it help to answer for humans prior to the discovery of the microscope. 2) Complete "Check Your Understanding" questions page 20 #3-7. The following weblink provides an entertaining and informative review of the life of Louis Pasteur and his accomplishments through animation. They help to show the era that he was living in and the stresses he faced (including the deaths of 3 of his children to streptococcus disease) as he built up to his greatest discovery, the "Germ Theory" which revolutionized modern medicine. The following clip provides an excellent description of the widely held belief in the theory"Spontaneous Generation" that people used to explain the appearance of animals like mice, frogs and flies. This clip goes on to show how this theory was later disproven by Francesco Redi in 1690. A unicellular organism is any life form that consists of just a single cell. Most of life is unicellular, with bacteria serving as the majority. They are the oldest forms of life, and many existed 3.8 billion years ago, if not longer. We can observe the larger unicellular organisms, such as amoebae, by using the higher settings on a light microscope. (Bacteria just appear as dots they are so tiny). To gather unicellular organisms for observation, you can place a cover slip on the surface of pond water, and leave it overnight. By the next morning, numerous unicellular organisms will have grown entire colonies on the bottom of the slip. **Unicellular organisms replicate fast: colonies can double their size between 30 minutes and a few hours. Some unicellular organisms have flagella (singular flagellum) which are little tails they use for locomotion. Others use many tiny hair like structures called cilia to move and eat, while still others use bloblike arms called pseudopods to get from one place to another to eat. Today the students were asked to research a little about unicellular organisms, how they move and how they eat. 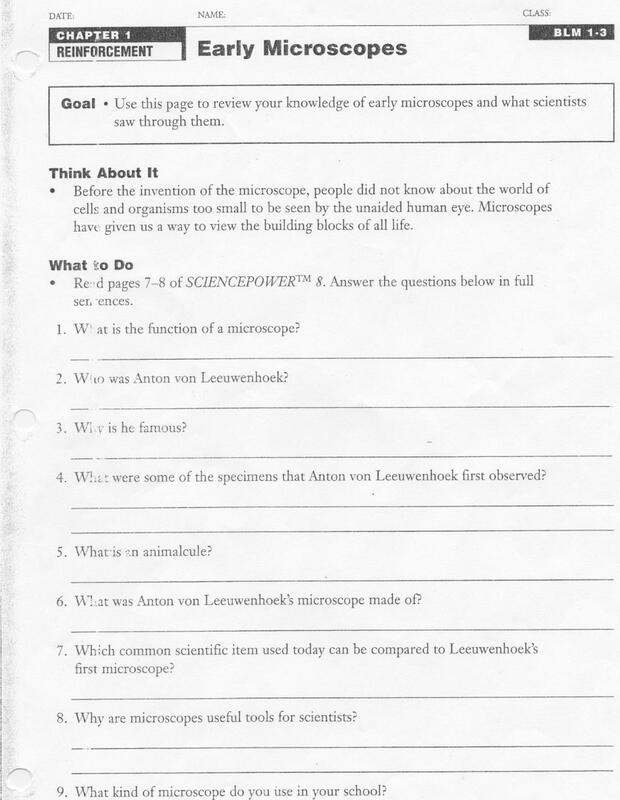 They are to complete the following questions in their notebooks under the title, "Unicellular Organisms" They may use their Science textbooks and the web to help to complete the assignment. 1) Differentiate between the terms "unicellular" and "multicellular". What category (uni/multicellular) of organism do humans fit inot? 2) Where are most unicellular organisms found? 3) Differentiate between flagella and cilia. Multicellular organisms are differentiated from each other by being split into two categories based on the structure of the cells that they are composed of: Animal Cells and Plant Cells. Both plant and animal cells are composed of interior structures or parts that are enclosed within their own membrane inside of each cell. Each of these structures performs a particular function for the cell. As you can see from the diagram above, plant and animal cells share a number of common organelles, however plant cells do have some extra features. Here are some additional video clips that can be viewed to help reinforce the similarities and differences of plant and animal cells. To practice how to use a compound light microscope the students will be conducting a small group experiment in which they examine both plant and animal cells. They will have an opportunity to compare the similarities and differences between the two types of cells and will be required to write up a formal lab report (including all of the components of the scientific method). The students will be asked to create a hypothesis prior to the beginning of the lab. They will be required to prepare a plant cell slide (from an onion skin) and draw and label diagrams using different magifications. They will also draw and label diagrams of professionally prepared human skin cells. At the end of the lab, they will create conclusions based on their findings and answer analysis questions. The following video clip provides students with a chance to relive a cartoon classic from the animated series "The Magic School Bus." Many of them will be familiar with the show, but (hopefully) will have a better appreciation of the content of the show after having learned some of these concepts during this unit. The instructions of how to prepare an onion skin cell are given in the following clip. There is also instructions concerning how to prepare a human skin cell using a swab on the inside of the mouth (gumline), however for sanitary reasons and a lack of time we simply use the professionally prepared human skin cells. A fun recap of the parts of the cell that the students should be looking for can be found in the "Cell Cells - Parts of the Cell Rap" found in the clip below. Note: For the purposes of our lab, the students will not be able to view chloroplasts because the onion bulb (from which we obtained our plant cells) grows underground and is thus not involved in photosynthesis. The students are also not responsible for locating the mitchondria, the ribosomes or the endoplasmic reticulum that are mentionned in this rap. They will study these organelles in grade nine. Try out this interactive game that helps to review ways to distinquish between plant and animal cells. It is called "The Mixed Up Cells". Professor Mill Ennium has left the Discovery Lab in the hands his trusty lab assistants. As one of his assistants, you find yourself exploring the lab for the first time on your own. The cell membrane acts as a barrier between the inside and outside of the cell. There are two processes that allow for the transportation of molecules into and out of the cell (Active and Passive Transport). In grade eight, we concern ourselves only with passive transport (diffusion and osmosis). You will study Active Transport in grade nine. The diffusion of water molecules is so important to the human body that it is given it's own special name, Osmosis. The following video shows an egg experiment that can be conducted in class that demonstrates the movement of water out of an egg (when placed in a sugary liquid) and the movement of water back into the wrinkled egg when it is resubmerged in pure water. The questions of why some people are taller than others; smarter than others; more musical than others; and more athletic than others, can be partially explained by the "genes" that make up our DNA codes. During grade eight, students are introduced (but not formally responsible for understanding) the topic of genetics. Each individual cell in a human body contains the exact same genetic code. The process of a fetus starting at conception, made up of one individual cell, composed of a mixture of a mother's and a father's genes, eventually replicating, duplicating and diversifying itself to become a fully functioning child composed of trillions of cells, is truly one of life's greatest mysteries. The following weblink provides a good basic description of the process of Mitosis and why it happens in eukaryotic cells. Eukaryotic refers to cells that contain membrane bound organelles. Plant and animal cells are eukaryotic. The website also provides some embedded words and video that should help you to familiarize students with the complicated process of DNA replication and duplication. The following song is a fun way to help the students to remember the proper order of the five stages of Mitosis. Cancer - "Mitosis Gone Wild"
When asked, most students in my class can identify at least one person that they know who has suffered from cancer. Sadly, cancer is the number one cause of death in Canada. In 2012, an estimated 186,400 new cases of cancer (excluding non-melanoma skin cancer) were diagnosed in Canada and 75,700 cancer deaths occurred. "Kids Health - What is Cancer?" is an excellent website for providing an introduction to the topic of cancer and what causes it (commonly referred to as a carcinogens). The website includes an audio setting that will allow students who struggle with reading to follow along as the highlighted text is read. This website also provides links to several other health related topics for parents, kids and teens with inquiring minds. The website "Kids Against Cancer" provides a good list of common caricinogens on it's webpage entitled "The ABCs of Cancer." The following provides a compilation of images and music (I Run for Life by Melissa Etheridge) in a inspiring video for those touched by breast cancer. An adult human body is made up of 11 organ systems. These systems are composed of 22 internal organs, 600 muscles, 206 bones and 100 trillion cells. Today students will define the words tissue, organ and organ system to help them to explain the levels of organization in the human body. We will compare the levels of organization of a school system to the human body in order to help the students conceptualize how each of the levels becomes more complex. For example, the students would make up the largest component of the school system similar to the cells in the body. Teachers represent the second level of the school system and are compared to tissues. etc. The following provides a basic definition of each of the levels of organization in the human body. It is created by joining cells that have similar function or structure. An organ system is a collection of organs that perform a specific function- the circulatory system or digestive system for example. 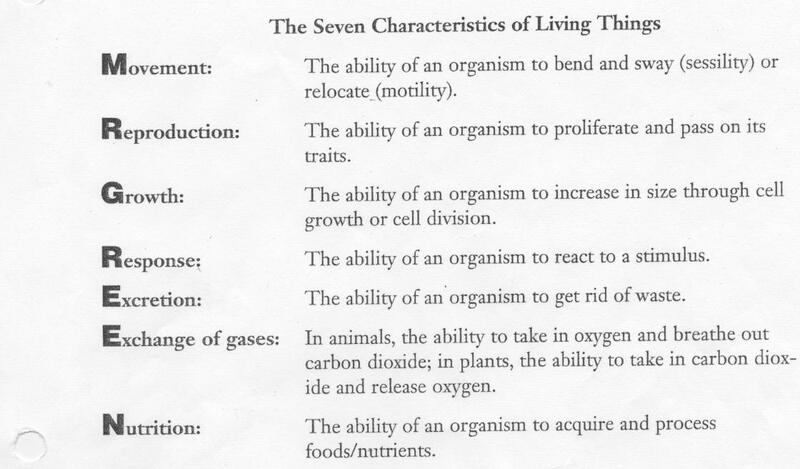 An organism is a being that's able to perform simple acts of survival. We humans are one for example. The following website from Kids Health called "How the Body Works" is an excellent source of information for kids looking for an introduction to the study of tissues, organs and systems. The following video was produced by National Geographic. It tells the story of a human life, from first breath to last, told from within the body. It provides excellent detail about the cells, tissues, organs and organ systems. It pays particular attention to the importance of maintaining a healthy lifestyle to keep all of the systems functioning appropriately. Well worth the watch. The human digestive system processes the food that we eat. It is made up of multiple organs and glands that digest the food, extract energy and nutrients, and later expel the waste byproducts. The following weblink takes you to a very kid friendly tour of the digestive system. Perfect for the grade eight curriculum. Below is one of several excellent videos from the neoK12 website. Some of the videos are a little advanced for grade eight, but many are perfect for reinforcing learning. As a followup to the lesson we watched the Bill Nye the Science Guy video entitled "Digestion" and completed an accompaning activity page. I have included the first video here, and the final two can be linked at the end of the first. The human circulatory system consists of vessels, organs and muscles that help control the flow of blood and lymph around the body. It is collectively called the cardiovascular system and lymphatic system with the heart, arteries, capillaries, veins and blood being the main parts. The circulatory system moves the gases, nutrients and wastes too and from cells to maintain homeostasis. It helps fight diseases, maintains body temperature and pH. As a followup to the lesson we watched two Bill Nye the Science Guy videos entitled "Blood and Circulation" and "The Human Heart" and completed the accompaning activity pages. The following weblink takes you to a very kid friendly tour of the respiratory system. Perfect for the grade eight curriculum. The vascular tissue in plants include xylem, which conducts water and minerals from the roots upward and throughout the plant, and phloem, which transports dissolved foods in all directions within the plant. Transpiration is a process similar to evaporation. It is the loss of water from parts of plants (similar to sweating), especially in leaves but also in stems, flowers and roots. If time permits, you may want to show the Bill Nye on Plants video. It contains a good overview of some of the issues discussed in the lesson (seed germination, photosynthesis etc). Unfortunately, it does not go into much about vascular tissue. Unfortunately, I was unable to locate part III of the Bill Nye on Plants video. I will continue to search for it.